One man is in custody and a suspected shooter is on the loose after a shooting at a Meridian apartment Wednesday night. MERIDIAN, Idaho — One man is in custody and a suspected shooter is on the loose after a shooting at a Meridian apartment Wednesday night. The incident happened at 11:30 p.m. in the 1200 block of West Pine Avenue. According to Meridian Police, 19-year-old Dominick Escudero of Nampa went over to an acquaintance's apartment to confront him about a missing vape. The two quarreled at the doorway of the apartment, Deputy Chief Tracy Basterrechea said. The acquaintance ultimately gave Escudero some money to replace the missing vape, police say. At that point, Basterrechea said, another person who had come over to the apartment with Escudero fired a gun, hitting the doorframe of the apartment. No one was hit by the bullet, police say. Escudero was arrested the next day, but the other man remains at large. The suspect was described as wearing a black shirt with white lettering and a blue bandana. Police say they found the gun used in the shooting in Escudero's car when he was arrested. The shooter has not been identified. 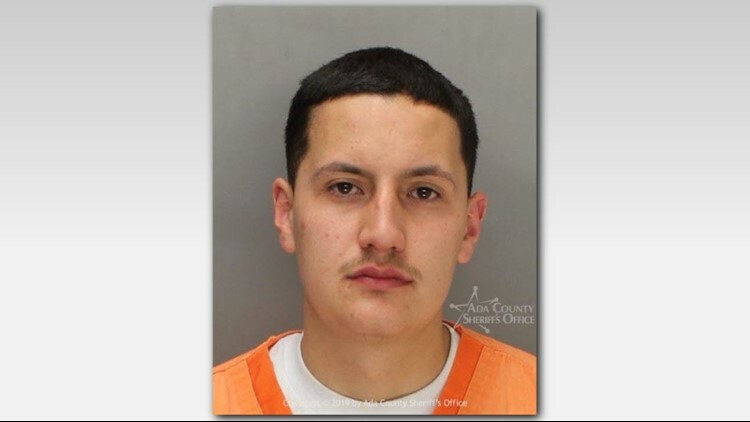 Escudero is charged with aiding and abetting aggravated assault, and is currently held in the Ada County Jail on a $75,000 bond. He is due in court April 22 for a preliminary hearing.